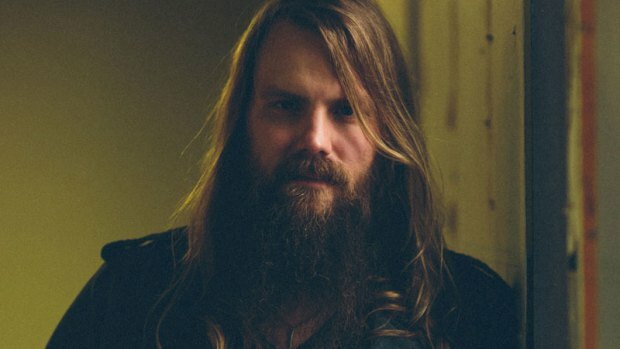 Chris Stapleton premiered a new song “When The Stars Come Out” earlier this week from his highly anticipated debut solo album, Traveller, which is now available for pre-order and will be released May 5. In addition, as part of Record Store Day 2015, he will release a limited edition 10” vinyl, IN STEREO, which features “When The Stars Come Out” and two other tracks “Fire Away” and “Tennessee Whiskey”. Stapleton will be headlining performances this spring including two album release shows at the Cannery Ballroom on May 8 & 9. He is also confirmed to perform at the Louisville’s Forecastle Festival on July 19. Over the course of his acclaimed songwriting career, Stapleton has penned over 170 album cuts, including songs recorded by Adele, Tim McGraw, Brad Paisley and Dierks Bentley, and has five #1 singles, including “Drink A Beer” (recorded by Luke Bryan), which is nominated for this year’s ACM “Song of the Year” award. He’s also won eight ASCAP Awards and has contributed to the soundtracks of several feature films including “Cars 2” and “Valentine’s Day”. As lead vocalist for critically acclaimed bluegrass band, The SteelDrivers, Stapleton earned three Grammy nominations including “Best Bluegrass Album,” as well as an IBMA award for “Emerging Artist of the Year”. Check out his network television debut this past Tuesday performing the title track on the “Late Show with David Letterman” .